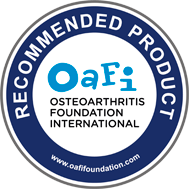 Food supplement targeted at joint, bone, gum, teeth and skin care and TO HELP REDUCE TIREDNESS AND FATIGUE*. For people who want to take care of themselves naturally and effectively, especially if they do moderate physical exercise, feel tired or fatigued or wishing to take special care of their skin. Maintain muscle mass (protein) and normal MUSCLE function (magnesium). Facilitate collagen formation for normal SKIN, GUM and TEETH function (vitamin C) and to preserve teeth health (magnesium). Reduce tiredness and fatigue (magnesium). 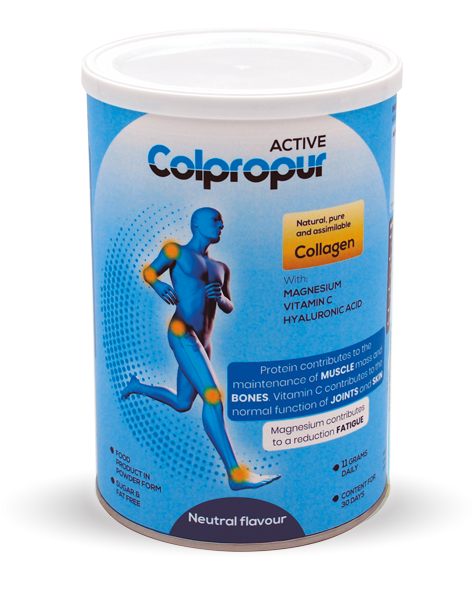 Ingredients: COLPROPUR® hydrolysed collagen protein, magnesium, vitamin C and hyaluronic acid. Hyaluronic acid is an important part of joint and skin health because it acts as a lubricant. Magnesium is a nutrient which, taken orally, helps reduce tiredness and fatigue and maintain good muscle function. 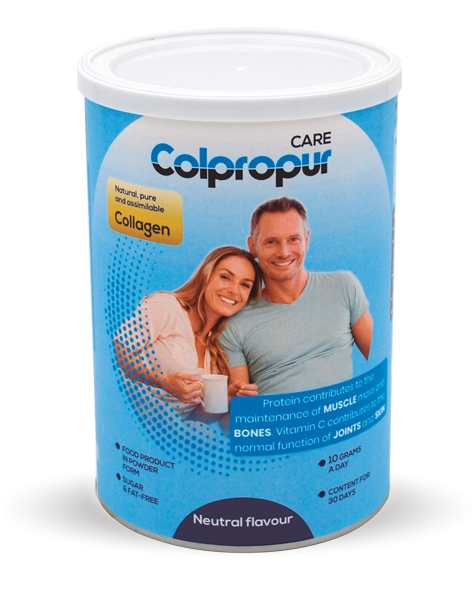 Dose: The entire content of the dosing unit, that contains 10 grams of COLPROPUR® hydrolysed collagen. Flavours: Neutral, Vanilla and Wild berries. Not suitable for people with phenylketonuria or magnesium intolerance.